I'm so glad you've made your way to our little corner of the internet! Between the blog and our fan pages, we have a really great community - you're going to love it. For starters... Sign up below to receive my newsletter. In it you'll find recipes for mealtime inspiration, not to mention great articles, too. Generally speaking, I post once or twice a week. Whenever you're feeling social, keep in touch with #GlobalTableAdventure. Enjoy (and Happy Stovetop Travels)! Hi! Looking forward to getting your emails & checking out the new recipes on Pinterest. Thank you! I’m just finishing your book, which I truly love. I’ve ordered the hard copy so I can have those lovely recipes at hand. Thank you so much for your honesty, courage and inspired writing. I just read your book over the weekend and loved it! Thank you for sharing your story and the food! I look forward to trying new recipes! I so enjoyed reading your book. I started yesterday and finished this morning. There were tears and happiness for you. I have to say, I thought, what is this woman doing in Tulsa of all places!? I don’t think I would have done as beautifully as you have. I began your book yesterday and haven’t quite finished. However, I had to stop and look up your blog! Your story is definitely the American dream. 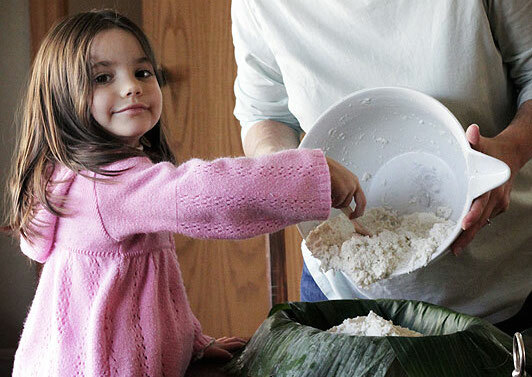 My children are older than you, yet when they were young, I made food from a different country once a week. We talked about the country and looked up information about that country. We didn’t have Google but we had encyclopedias. It was so much fun! I wish I had your blog then because there was no way to find recipes from small or Third World countries. I did have a cookbook that featured recipes from the more prominent countries. We let the children choose which country they wanted to do that week. I want to say thank you. You are providing a service that will expand the horizons of numerous children and families. Today my children are grown and have families of their own. The positive outcome is not one of them is a picky eater. All three are good and adventurous cooks and most of their children not picky. Two of them travel internationally and enjoy the local cuisine. Congratulations on many levels! I just found your blog and am so excited to receive your newsletter and read your book. I looooove travel and have always longed for their food once I come home, it never dawned on me that I could actually make it myself! Sasha—-not only do you “cook”– your writing is incredible. How you managed to write your memoir in such an absorbing, meaningful, truly heartfelt way—really, really wonderful. I could not put “you” down! It’s way beyond just food. I feel as though I know you—and what a delightful friend you are! When Google RSS feeds went away I sort of lost your blog and in a strange turn of events (4 years later with a deploying husband who really wants to try that lovely Irish cake for his early birthday celebration) I have found you again! I couldn’t be more excited and I have already let my family know that your book would be a great gift. Thank you for continuing this fantastic journey around the world. Loved your video! Can’t wait to get your book for myself, my daughter, and future gifts. Would you possibly be doing anymore book signings in Tulsa? Hey Sasha! Thinking this is the best day ever! Just discovered your lovely site. So eager to get cooking. What a beautiful place you have here. Thanks for sending me your newsletter and updates. I look forward to purchasing and reading your book soon – as in as soon as I sign off from this page. Blessings to you and your family. Thanks, Allison. You are my new hero. Thank you for being here for us. Hi Sasha! We heard your interview with Christopher Kimball on his Milk Street Podcast. You have such poise and grace! 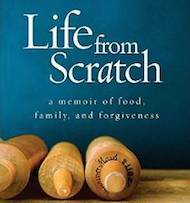 Amazing stories, both in your memoir and in your cooking challenge. Looking forward to learning more and about you through your newsletters! 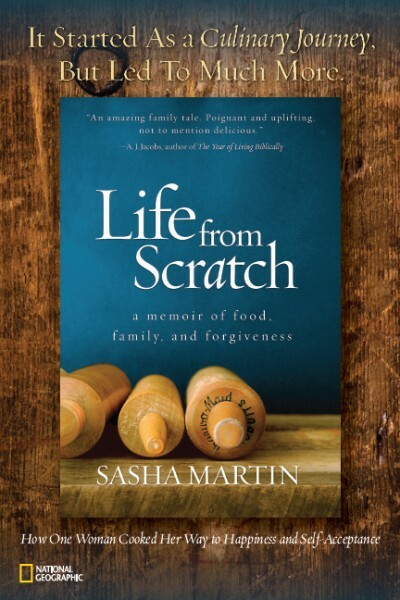 Oh Sasha, cannot thank you enough for sharing your story, your journey, your heartache, your joys and of course your recipes. Your book hit me hard – the relationship with your mother hitting more than one vulnerable and tender spot – but it helped me see a bit clearer and I believe, made me feel more compassion for my mother’s story and journey. Very excited to have found you, your book, your blog and your recipes! Very excited for you!! !